Preheat oven to 350 degrees. Grease a 9 by 12 inch glass pan with butter. 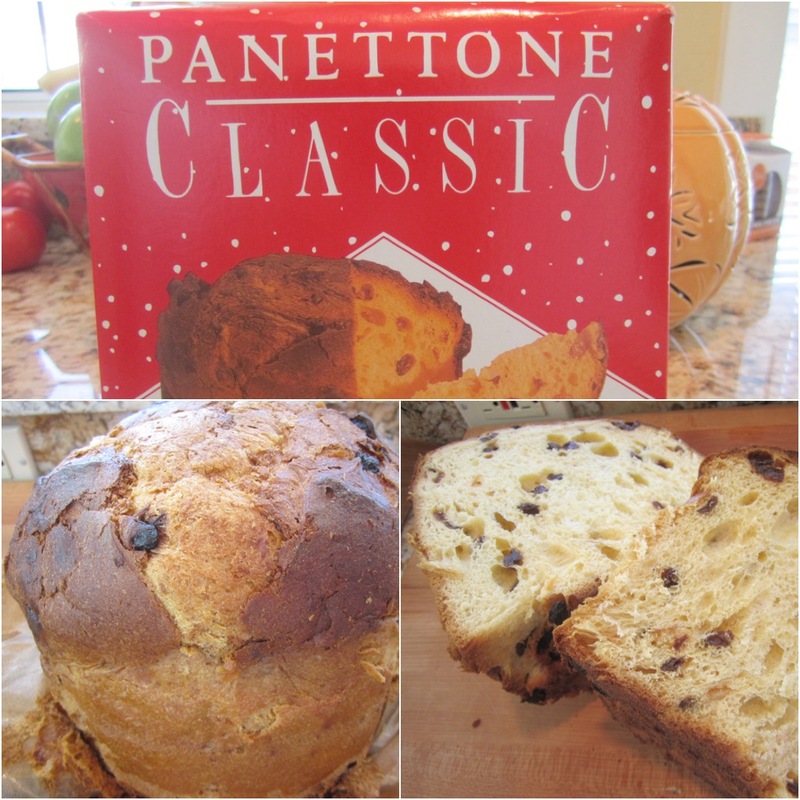 Trim any dark brown outer crust from the panettone and cut the rest of the loaf into 1 inch pieces. Place in a large bowl. In a smaller bowl, whisk the eggs, then add the heavy cream, half and half, Grand Marnier, vanilla, sugar, nutmeg, orange zest, and orange juice, whisk again. 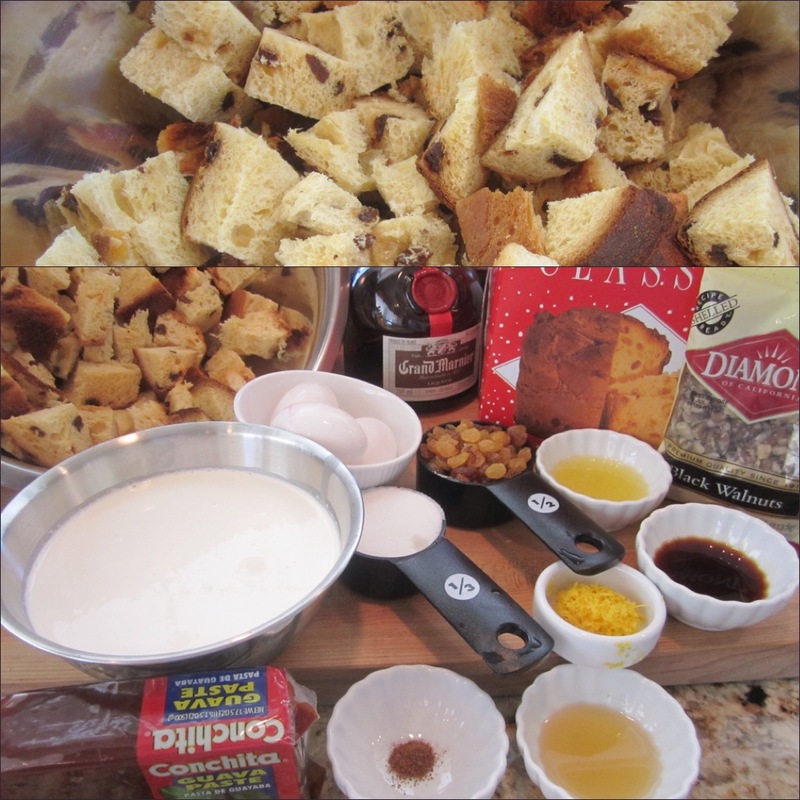 Add the egg/cream mixture into the large bowl over the panettone. Add the golden raisins and walnuts, stir with a wooden spoon, and mix gently until liquid is absorbed. Spool the mixture into the greased baking dish. Place the baking dish into a larger pan and add very hot tap water the the larger pan until it’s halfway up the sides of the baking dish. 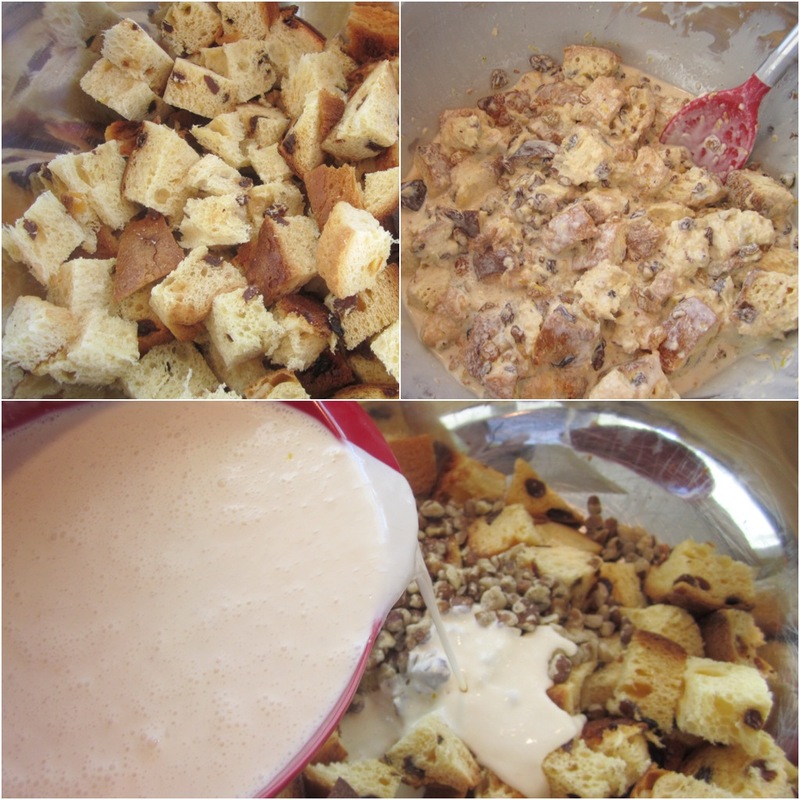 Bake the bread pudding for 1 hour. Let cool slightly, serve with whipped cream, and a sprinkle of powder sugar. This is also delicious, cold. For an extra treat or special occasion, serve with Grand Marnier Sauce. Mix butter and sugar, heat in microwave oven on high for 1 minute. Add cream, Grand Marnier and orange zest. Heat for 2 minutes, stir and heat for 1 minute more. 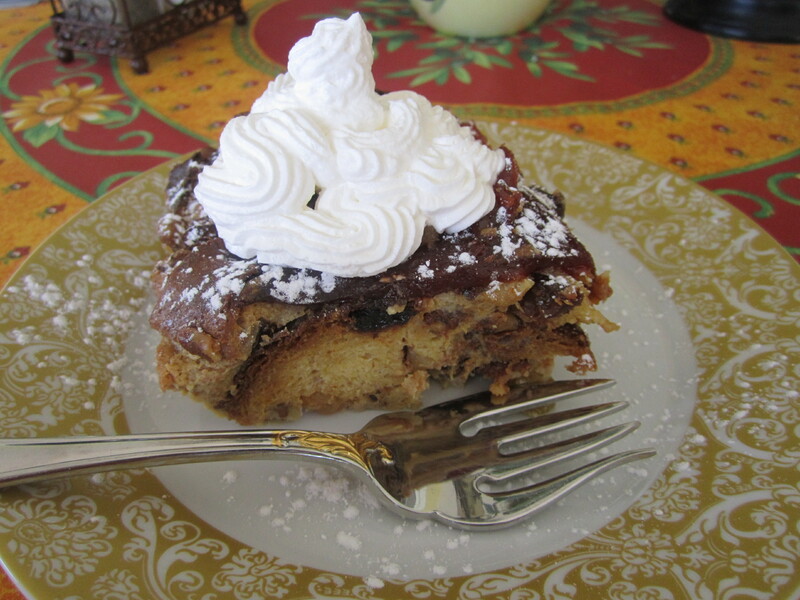 Serve over bread pudding. This entry was posted in Desserts and tagged bread, bread pudding, Desserts, Food, Grand marnier, GUAVA, orange, panettone, PANETTONE BREAD PUDDING, recipes. Bookmark the permalink.